It is set that Nicki Minaj remains the spokesperson for MAC Cosmetic’s Viva Glam collection 2013. As she recently announced on her twitter that she will be launching her second MAC ad, Viva Glam Nicki 2 on February 9th 2013. Like her first MAC ad, all the money raised will go towards people affected by HIV/AIDS. The Viva Glam Nicki 2 limited-collection will include a pretty lavender lipstick and a matching Lip Glass, which I think will be perfect for the spring. 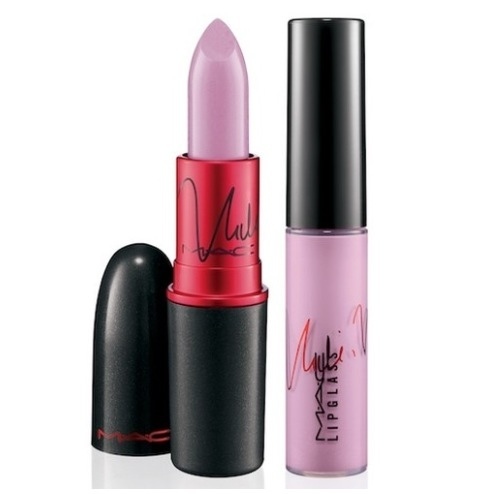 I love the first Viva Glam Nicki lipstick and I bet I’ll like this collection as well! What do you think of Nicki Minaj’s new ad for MAC cosmetics? Yay or nay? You can still enter my giveaway if you haven’t already, the winners will be announced on Sunday. YAY! Is my vote. I love the new hue, too. I agree – very suitable for a Spring color! Thanks Nicole! I will look out for this definitely! I can’t pull off the color, but I’m still for it. Eagerly awaiting this colour….. and what a better spokesperson for Viva Glam could there possibly be?? ?